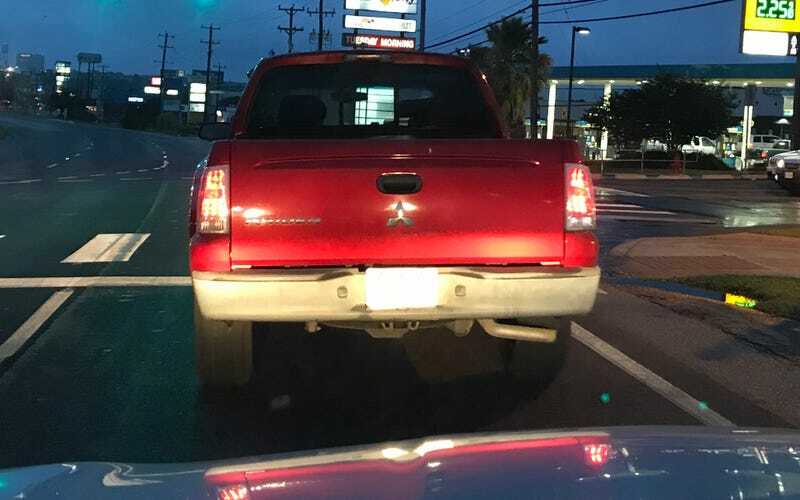 The Mitsubishi Raider is a thing that exists. Just under 22,000 of these rebadged Dodge Dakotas were sold from 2005-2009. This is actually about 2,000 less than the Chevy SSR. I saw this one today.